Sealers in northern Canada have successfully lobbied the government to open the seal hunting grounds earlier than anticipated. Conservationists worry that the earlier opening will put baby seals at risk, despite the fact that fishermen are exclusively targeting adult seals. Every year, tens of thousands of seals are harvested in Canada’s northern waters, to supply fur and meat for domestic and international trade. However, during a few weeks between March and April, the Canadian government closes the commercial seal fishing in Newfoundland and Labrador, to give protection to harp seal pups while they are still nursing. This brief respite allows seal mothers to give birth and nurse their pups until they are ready to be on their own, giving the pups a better chance of surviving into adulthood. While the hunting of whitecoat pups was banned in 1987, and Canadian law prohibits killing adult seals in whelping patches, conservationists still worry that opening the annual hunt before seal pups have been weaned means that still-nursing females might be killed, resulting in the death of seal pups. "Harp seal mothers who are nursing their pups often swim away from their pups," explained Rebecca Aldworth, executive director of Humane Society International, in an interview with The Dodo. "So there's every chance that a nursing mother could be killed in this hunt. Sealers don't see the pup — they see the mother seal on an ice floe further away and kill her, not knowing that she has a nursing pup. At that point, the unweaned pup is left to starve to death on the ice." Last year Canada’s government set the quota of harp, hooded, and grey seals to be killed at 468,200. However, the actual number of seals killed was far less, under 70,000. This trend is nothing new. 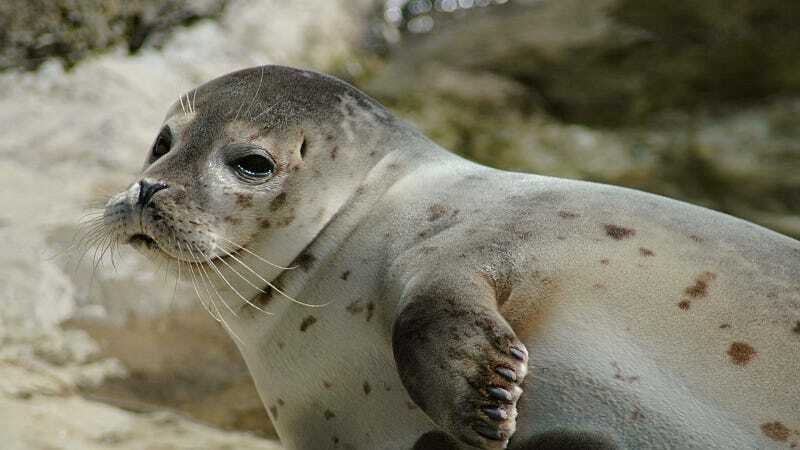 The actual number of seals killed has been less than the allowable quota every year since 2009, when the European Union banned the import of seal fur (the U.S. banned the trade in 1972). The European Union ban on seal fur has had several major impacts on both seals and the sealing community. For one, it has made the market for seal fur shrink dramatically. This has allowed the harp seal population to increase to healthy levels, now estimated at 7.3 million. The ban also meant that seal fishermen are increasingly out of a job. In 2014, the number of active sealers was estimated at less than 400, down from about 6,000 in 2006. The ban didn’t just impact Canadian sealers. In 2015, Denmark’s foreign minister, Martin Lidegaard, argued on behalf of Greenland’s fishermen, saying that the European fur ban was prioritizing animal lives over human lives. “The seals up here have lived a very good life,” said Lidegaard in an interview with The Guardian. “They are hunted in a very sustainable way. The meat is eaten by the Greenlanders and the fur is then sold. That’s as sustainable as it gets. If we don’t get exports to the EU up running again, then there will be no business for the hunters in Greenland. I don’t get it. I don’t see any fur being more sustainable than that which comes from seals.” In the years since the ban, Greenland has lobbied to overturn the ban, and Canada appealed the ban to the World Trade Organization. Still, the ban has stayed. “We know our campaign is winning and we are now at a crossroads,” said Aldworth in an interview with the Guardian. “We need to all move forward together beyond commercial sealing.” The Humane Society has offered to buyout the existing sealing licenses, and to help fishermen transition to other areas of the economy. So far the Canadian government hasn’t demonstrated any support for such a plan.